Mostyn welcomed the arrival of Geosea's "Goliath" for mobilisation works for the Walney 1 Offshore Windfarm. 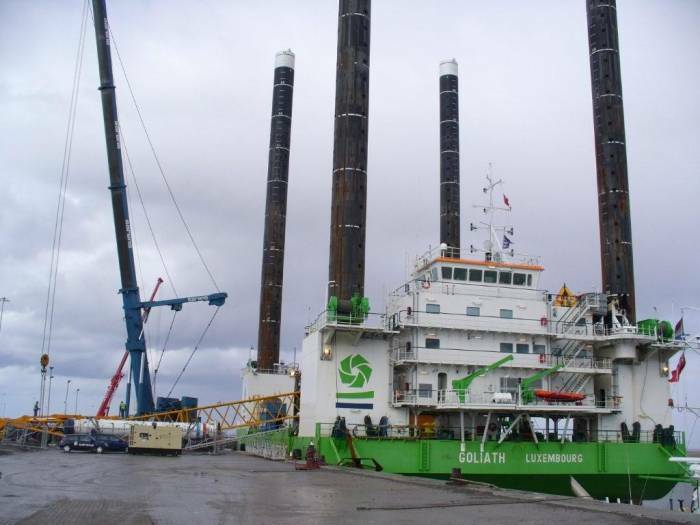 The mobilsiation works included an extension to the boom of the crane on board as well as the assembly of the piling frame. Golliath completed her mobilsiation on time and departed on the of 6th of April to start work on the Walney 1 foundation piles. Inauguration of the worlds second largest offshore windfarm takes place at the Port of Mostyn.